As part of the celebrations for international ‘World Book Day’, a competition with a different approach was held at Amlwch Primary School. 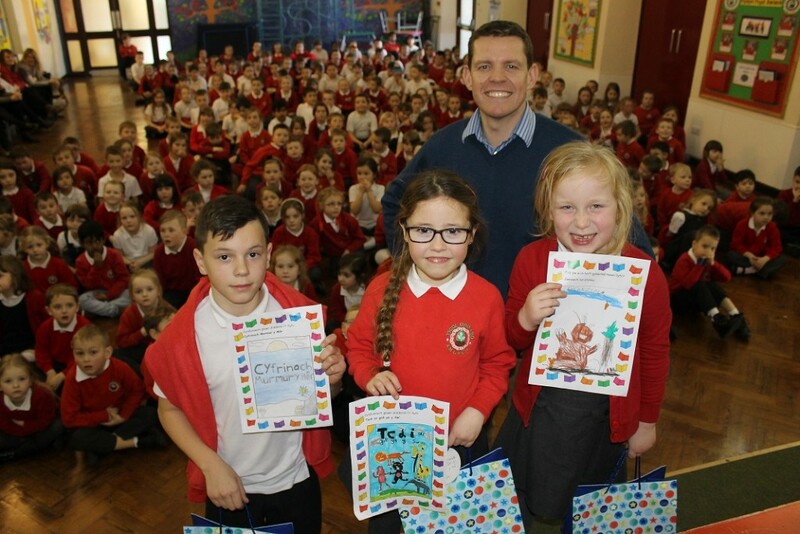 Whilst everyone else’s attention was on the content of books, the book Covers was the main focus of a competition held by the School teachers. The task for Reception Class and Year 1 was to make a picture of their favourite character in a book. Whilst year 2 and 3 were asked to create a cover for an imaginary book called ‘Tedi ar goll yn y Sw’ and the pupils of year 4,5, and 6 were asked to create a cover for and imaginary book called ‘Cyfrinach Murmur y Mor.